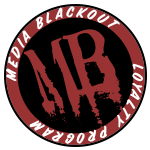 Media Blackout has created another first with the BreakerBatt. A polarity-agnostic battery eliminator with Lemo power loop-out. BreakerBatts are available in Sony NP-F, Canon LP-E6, and Sony FM-50 ( for Preston hand units) with other battery types coming soon! The BreakerBatt is the first Lemo-equipped, loop-through battery eliminator in existence. It lets you power devices that aren't equipped with a dedicated DC input, such as monitors and EVFs, with standard 2-pin Lemo cables and pass that power, unchanged, to other devices like wireless transmitters or receivers. Truly polarity-agnostic wiring means that you can plug in any 2-pin Lemo cable, and pass the same polarity power unchanged to the Lemo output. The rectified 7.4V output through the battery terminals means that no matter what polarity input cable you use, the battery output will have the correct polarity. The hybrid injection molded and 3D printed enclosure is very small (same size as standard battery), and lightweight (NPF weighs 1.4 ounces; LP-E6 weighs 1 ounces). The BreakerBatt minimizes wear on the battery plate by allowing user to install and forget, plugging and unplugging only the Lemo cables. The BreakerBatt uses genuine Lemo parts. As always, our products are assembled in Culver City, CA. The BreakerBatt does not ship with a power input or output cable, but it is compatible with our 2-pin Lemo cables. Need a custom configuration? Just contact us. Need more info? Read the BreakerBatt FAQ.